Tiffany’s New ‘Paper Flowers’ Jewelry – Art, Food, Travel and Fashion! These are flowers of the imagination, as if scattered by the wind and pinned back together. New …Tiffany & Co. Paper Flowers. 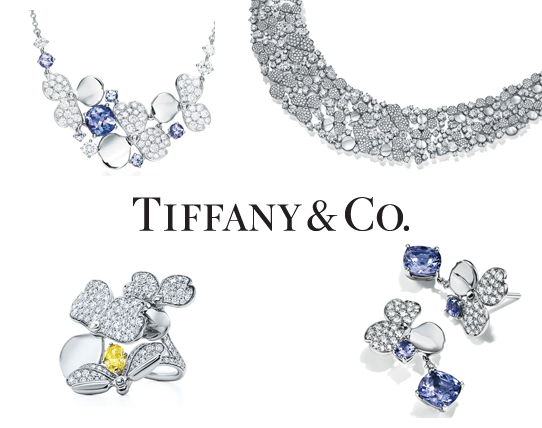 New York—Tiffany & Co.’s first jewelry collection from Chief Artistic Officer Reed Krakoff has hit stores. “Tiffany Paper Flowers” encompasses both high and fine jewelry, and takes its inspiration from paper flower petals that are pinned together. The Paper Flowers iteration of the handicraft sees platinum petals accented with diamonds and secured with a platinum pin. Colored gemstones, like tanzanite, and colored diamonds, such as yellow diamonds, add pops of color throughout, and were meant to mimic the hues of irises and fireflies, Tiffany said. Paper Flowers encompasses pendants, earrings, bracelets and rings. The collection starts at $2,500 and caps off at $790,000. Representing the upper end of the spectrum is the high jewelry assortment, the hero piece of which is an ornate bib necklace featuring more than 68 carats of pear-shaped and round brilliant white diamonds, interspersed among platinum flowers. A representative for Tiffany said the introduction of Paper Flowers marks the biggest jewelry launch for the American jeweler since 2009’s Tiffany Keys collection. Longtime accessory and fashion designer Krakoff began his relationship with Tiffany in 2016, collaborating on its gifts, home and accessories collection.